Should a Christian be a Freemason, or not? Do we need to test Freemasonry by the Word of God – to see if Freemasonry is right or wrong, good or evil? What is it? What does God say to us about it in His Holy Word? How many Freemasons are there? When did it begin? How influential was Freemasonry in the formation of our Nation through our Fore-fathers? Where does Satan work most of the time, in the dark, or in the light? Is Freemasonry a religion or not? Does Freemasonry have their own Gospel that they proclaim, or not? Does Freemasonry teach about a different God? Does the Freemason Bible actually show allegiance to Islam and the holy koran? Listen for these questions and answers about Should A Christian Be A Freemason?, below in the 1-part Video , or the one-part MP3 Audio Sermon. 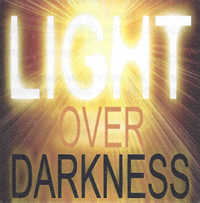 Listen for these questions and answers about Is Jesus The Only Way To Heaven?, below in the 1-part Video , or the one-part MP3 Audio Sermon. Will those who are saved be many or few? How does Jesus’ answer to this question encourage our faith? Why then are many not going to be saved? Listen for these questions and answers about How Many Will Be Saved ?, below in the 1-part Video , or the one-part MP3 Audio Sermon. What is out there for us, beyond the horizon, beyond this life, beyond this world, beyond death, when we die? Are you ready to die? Are you afraid? Do you know for certain, what awaits you after death? 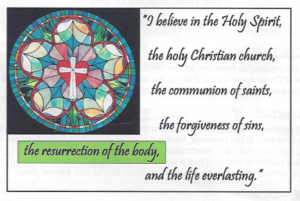 Listen for these questions and answers about “Beyond The Horizon – Easter”, below in the 1-part MP3 Audio Sermon below. How can I renew my life? Is there anything I can do, to enable the renewal of my life? Why do we need to renew our Faith on a regular basis? Can something happen, and cause to drift, or grow dim in our Faith? Once we have been saved in Salvation, do we need to repent anymore? I have heard that Billy Graham has stated something to the effect that a person did not have to believe or even know the name of Jesus Christ to be saved, for if all they had available to them was the Muslim religion or Hinduism, or Buddhism and believed with all their heart that it was true, then God would save them without their knowing anything about Christ–not even His name. Is this true? Was this the result of a TV interview of Billy Graham by Robert Schuller on his show that aired May 31, 1997? What can we do, to prevent from falling away into condemnation as what would happen to Billy Graham if he did not repent to this great Sin? Did Billy Graham lose his Salvation? Listen for these questions and answers about “Renewing Your Faith – The Word”, below in the 1-part MP3 Audio Sermon below.